It’s been a long time coming, but when the Jam2 29 eMTB finally landed here at OnBike, we couldn’t wait to get on board! It’s fair to say we were absolutely blown away by the performance, looks and dynamics of the bike. German giant Focus have released a number of variants of electric mountain bike this season. They differ in spec, and therefore price, with both full suspension (Jam2) and hard tail models (Bold2). There’s a 29er and 27.5″ Plus variant in each category with a choice of two colours, black or grey. Prices start at £2,999 and go up to £5,199. The bike on review is the full suspension 29er. Firstly, the look of this electric mountain bike is rather different than most. To be perfectly honest, it doesn’t really look like an electric bike at all! It’s Shimano E8000 motor integrates fully and sits nicely in the frame. it has a narrower Q Factor than other drives on the market, resulting in a more natural feel to the ride, just like a conventional bike. The power switch sits neatly on the top tube, with a press and short hold to fire the bike up. The second thing that strikes you is the power. It’s delivery is smooth and uninterrupted. It’s very agile too, and feels it. 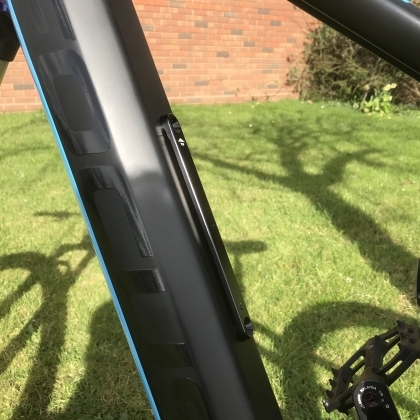 The Shimano E8000 is lighter than the Bosch and has a shorter length chainstay so it’s more compact. There’s three levels of power, each changed via a set of rapid fire shifters on the left of the bars. Neat. 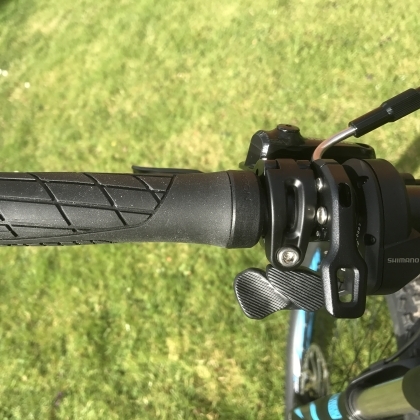 They sit unobtrusively, adjacent to the dropper seatpost lever and are all within easy reach. 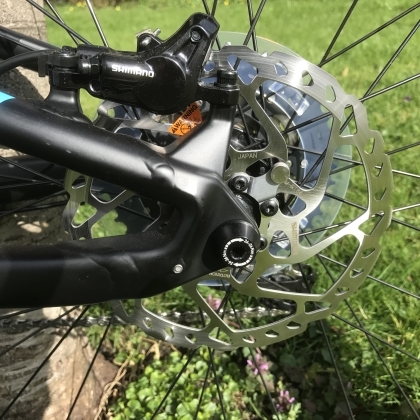 Gear changing as you’d expect is responsive and solid thanks to its 11-speed Deore XT on an 11-42T cassette. On the higher spec models shifting is electronic via Di2! Unique to this range of Focus eMTBs is the option to add a SECOND battery. Capacity of each of the Jam2 and Bold2 batteries is 378Wh, with the option to add the same again giving a whopping 756Wh. Now that’s enough for any ride! 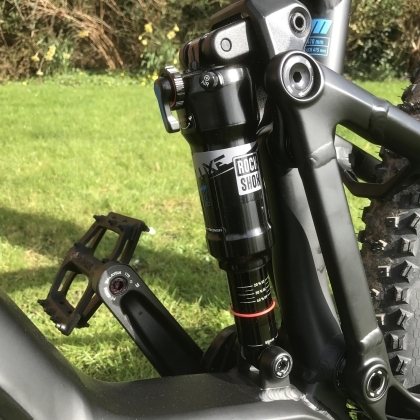 The second battery fits easily onto a dedicated battery rail mounted on the down tube, and connects on the underside of the top tube into the battery charging port. In addition, there’s the facility to mount a bottle cage at the same point rather than an additional battery. This comes with a handy little compartment for keys, etc. A set of Continental Mountain King plus-sized tyres complement the bike nicely, and are more than up to the job. One further point of note is that the speed sensor magnet isn’t sat in the spokes like it is on most ebikes. You’ll find this little fella sat on a mount adjacent to the rotor with the sensor nicely concealed in the frame! 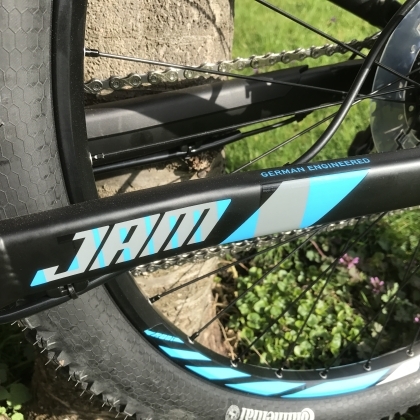 The Jam2 29 eMTB has certainly impressed us, and boasts some unique features and clever design. 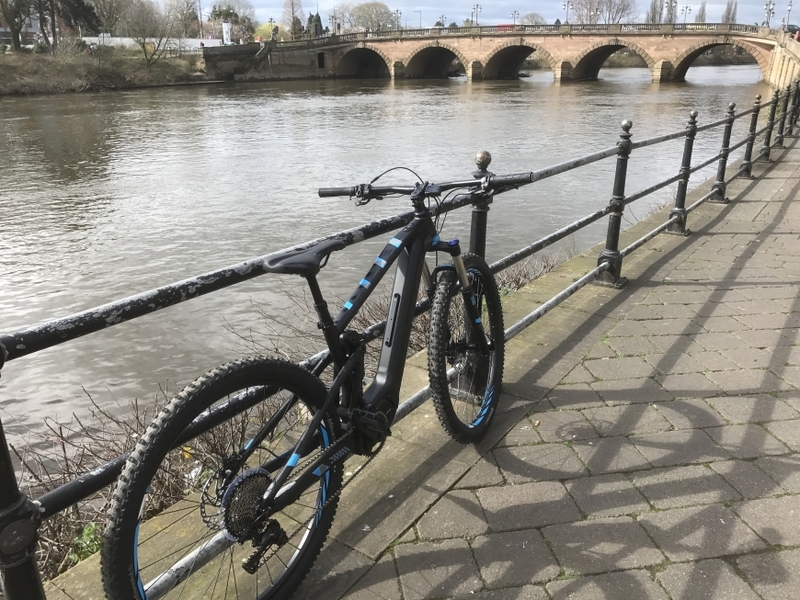 Check out the full range of our Focus Electric Mountain Bikes and take a test ride here at OnBike. You won’t be disappointed. 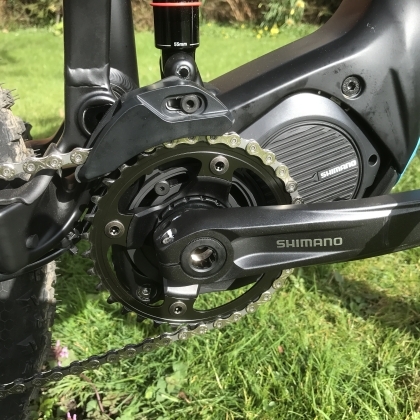 NEW Shimano E8000 drive now available for test rides on our FOCUS Jam2 and Bold2 eMTBs…..